Don't let Wells Fargo get away with breaking laws. If we as united Americans had insisted years ago that banks abide by the law we could have stemmed foreclosures and saved our property values, as well as our economy. Once banks saw they could get away with ignoring laws they had no reason to modify loans, despite the fact they took $700 billion in bailout money from taxpayers, homeowners! The true cost of the bailouts is in the trillions. And, it's our fault for focusing on how homeowners owed the banks, while ignoring how banks flout the law. My foreclosure appeal is about how Wells Fargo did not follow the law and lied while it kept trying to take my home. Wells Fargo could have been paid since 2009 if they had not gone back on their word that they'd modify my loan and give me a lower interest rate. Please help me stop Wells Fargo, for all our sakes. I bought my home in 1993 so my young son could come from London and live with me. I immediately planted pear trees. Pears need to be in pairs to fruit. Next, I painted. Eating out of my garden is healthy and cheap. My fresh squash, tomatoes, lettuce, peas, cucumbers, collards, onions and spinach, not to mention herbs, are a godsend. 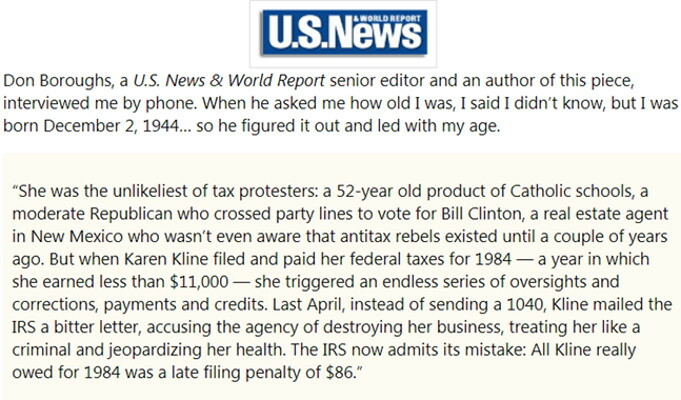 In 1996 US News & World Report used my experience of IRS putting me out of business – by enforcing for a year I’d paid – in their piece on IRS abuse of taxpayers. US News heard about me because I’d written so many letters to Congress and people I saw on Charlie Rose and news. I'd buy dried beans for 35¢ a pound, cook them with onions, thyme and rosemary from my garden and buy stamps with my savings. I sent IRS proof I’d paid, but it made no difference. I sept 4 hours in 24. So, when I noticed that my fingernails had bumpy ridges and no moons, I wondered if it was related to stress. When I tried to kill myself the ER’s B12 test showed I had “profound B12 deficiency”. 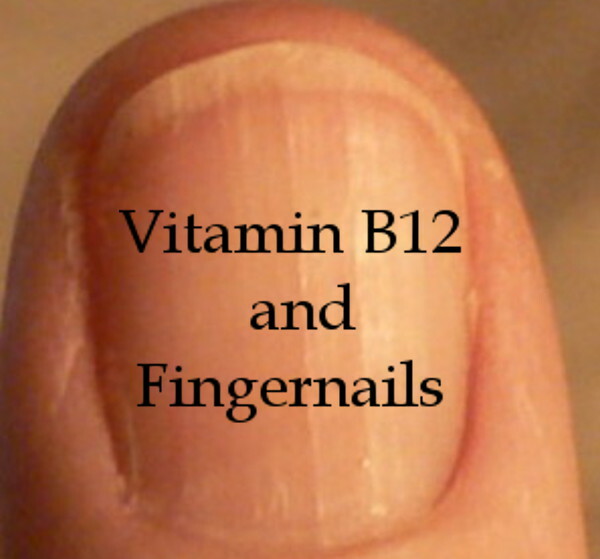 B12 replacement smoothed my fingernails. Pictures of the changes and B12 research became the core of my website, health-boundaries.com. Over 5 million people have visited it. Without my garden I doubt I could have survived to help. I’m in foreclosure again but I don’t feel like killing myself because I consistently use Methylcobalamin B12 lozenges and my nerves are healthier. Back then I was about to lose everything I had a 600 sq. ft. condo where I lived before my son came, my home I’m in and the little house I bought when my son missed London more than he liked Santa Fe. After he left I went home every day at noon to cry for an hour. I bought the little house so I wouldn’t constantly be reminded how much I’d hoped he’d stay. Out of business, but with three properties I was able to file Chapter 11 to reorganize and stop the foreclosures. I achieved a Confirmed Plan and in the process learned G.E. Capital held my note and mortgage. In 2007 Deutsche Bank foreclosed my condo and sold it without notice to me. 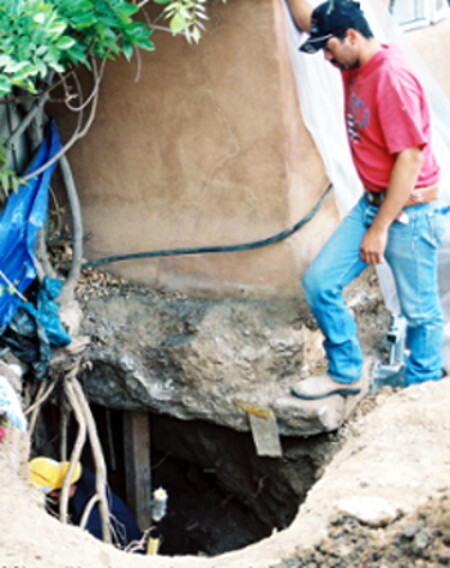 It had been built over a full privy pit that had dried out until the sewer pipe over it broke when the organic matter kept decomposing/subsiding. That caused hydrogen sulfide in my condo. But, all I knew was that I was wheezing, bumping into door frames, not remembering anything and my ankles were the size of my thighs. Worst was that I lost feeling in my feet, fell, hit my head on the brick floor and got a traumatic brain injury. After a loud underground bang I was advised to have an air quality test. That’s how the hydrogen sulfide was found. It cost me $10,000 to have the pit dug out and filled with concrete. Little did I know Deutsche would foreclose without telling me and I’d lose my money despite having a buyer and money to redeem. After B12 replacement I was a desk clerk but was fired after my fall and brain injury because I was making so many mistakes. In 2008, Wells Fargo filed foreclosure but didn't serve me. 30 days later they sent a contractor to drill my locks and seize my home, which Wells Fargo said was foreclosed, technically, since I hadn't answered the complaint. But I’m housebound so I was here and stopped him. I couldn’t sleep for a long time after that. That made Wells Fargo’s foreclosure seemed tainted. Why deny me due process by not serving the complaint if the foreclosure was likely by following the rules. On the internet I found the UCC requirement that the foreclosure plaintiff must produce the Original Note. I used that to begin strenuously fighting Wells Fargo. In 2009 President Obama initiated HAMP, Home Affordable Modification Program, and I applied. At the same time I did Discovery, asking Wells Fargo to produce the Original Note and answer questions about it. Wells Fargo ignored me until I did a Request for Admissions dealing with the Original Note. 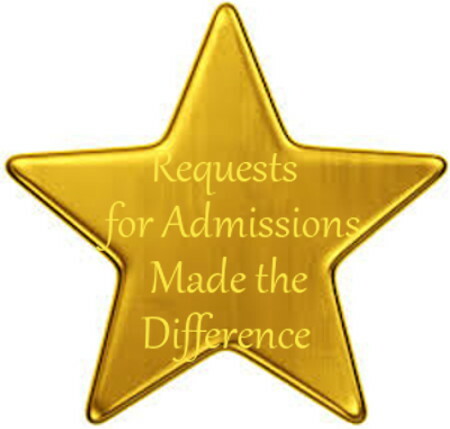 The neat part of Admissions is that if they aren’t answered the court can deem them Admitted. So, the Admissions got Wells Fargo’s attention. Before the 30 days to answer were up, Wells Fargo wrote saying they had qualified me for HAMP. I was so happy. I wrote back with great thanks, and called immediately to set up the trial period. I made every payment, so according to HAMP guidelines my modification was sure to be made permanent. As soon as the trial period started Wells Fargo asked the court to put the foreclosure on hold and to stop discovery. The court agreed. As soon as the court agreed, Wells Fargo broke its word on the modification. Recently I found an interview in which Tim Geithner, President Obama’s Treasury Secretary, said that the purpose of HAMP was to slow down foreclosures so banks could handle all of them. That wasn’t how it was advertised to homeowners and taxpayers, though. Despite my brain injury I kept fighting the foreclosure. I would feel so vulnerable but then I’d go into my garden and feel at one with Life. When it came time for the trial I had to admit I couldn't do it. I can’t remember what people say and I often can’t find the words for what I want to say. I found a lawyer who took may case for a $5,000 retainer. I was lucky to have had the money from an ADA settlement. Since then his bill has grown. I pay him $300/mo out of my $700 social security, which doesn’t leave money for an appeals lawyer. At trial my lawyer showed that Wells Fargo had not had the Original Note, despite what their complaint said. My lawyer cautioned me that the judge had not once decided against a bank. He said I should get a reverse mortgage. I tried. But my home is solar and not the expensive kind, so it doesn’t meet "universal qualifications for habitability” which include having public utilities or grid tied solar. I'm off grid. I hope you help me. You may be interested to know that after Wells Fargo qualified me for loan modification in 2009, then broke its word, Wells Fargo paid $130,000 to lawyers to foreclose my $84,000 loan. Honestly, I have NO idea how much to ask you for, but is a gift of $25 something you'd be able to consider? March 6, 2019 ~ Here's an update to let you know how my fight against Wells Fargo for my home and garden is progressing. Here's a new video re my battle against Wells Fargo for my home and garden. Wish me LUCK. 1/1/2018 ~ I'm working on my Appeal Docketing Statement. I'm also requesting free process. I must show my income and assets, so I think I should remove what I donated to my campaign because other wise it looks as if I have more than I actually have. Also, I'm sending my cousin's $300 back . She has a large family and I feel as if she most likely has a child or grandchild who needs the money more than I do, now that I can't hire an appeal lawyer because I don't have enough money for that. The Donations should read $1,560.